Joshua and I just returned from Southern California on Monday. We went to celebrate our anniversary and this was the first we’ve gone, just the two of us since we got engaged. The last couple of times we’ve tagged along with Joshua’s dad and stepmom, and last year Dani and Danielle came with us. It was nice though that this time it was just the two of us. We left around 6am making a few stops on the way for meals and bathroom breaks. We arrived to our usual hotel, Embassy Suites Anaheim South, about 3pm, just in time for checkin. We relaxed for a little while, and I caught up on some blog posts. We headed over to Downtown Disney a little after 5pm so we would have time to enjoy a nice dinner before seeing Doctor Strange. We decided to try Tortilla Jo’s for dinner, which we’ve never tried before, and it worked out perfectly because we got seated right away. Their food is delicious, especially their chips and salsa! 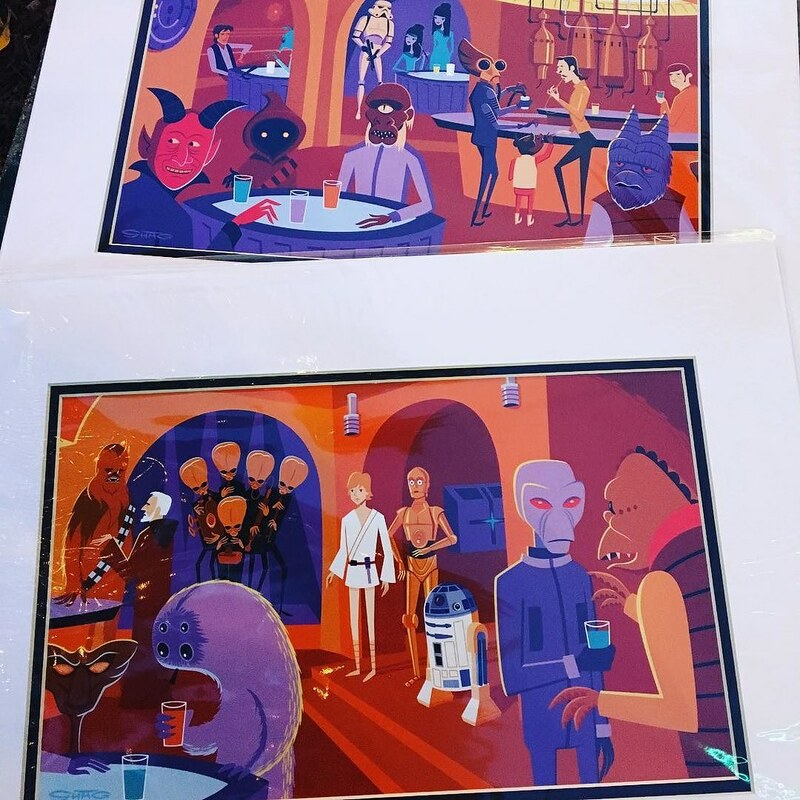 After dinner I went into WonderGround Gallery where I was pleasantly surprised by all the SHAG Star Wars art! I decided on two prints, and I got 10% off my purchase because I used my Disney debit card. I am SO HAPPY! Joshua took my prints to the car and then we went over to the movie theatre to see Doctor Strange. It was a really good movie, and I definitely enjoyed it! Doctor Strange’s character very much reminded me of House, which is funny because House has been compared to Sherlock Holmes and Benedict Cumberbatch (who plays Doctor Strange) also plays Sherlock Holmes on the show Sherlock. In other words, Benedict Cumberbatch was perfect for the role. ?? We took our time in the morning and ended up getting to Universal Studios around lunchtime. 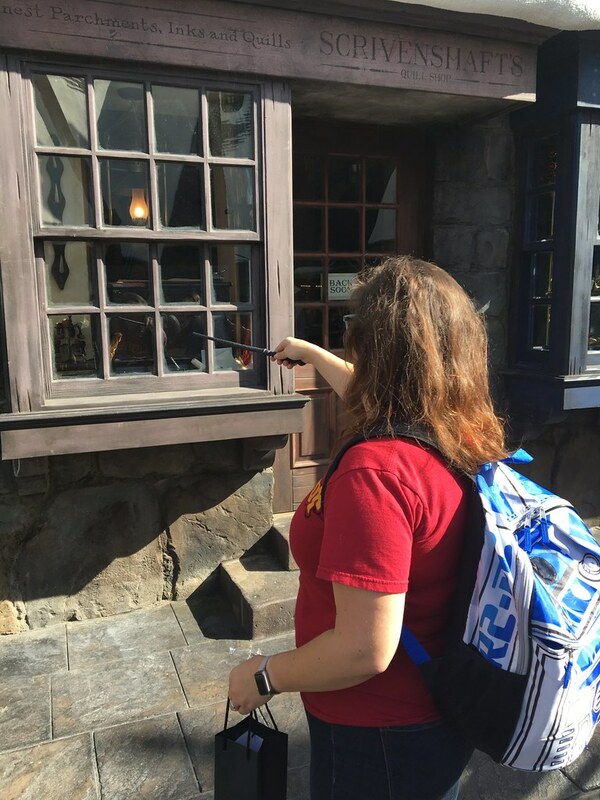 We made a beeline to The Wizarding World of Harry Potter where we had lunch at Three Broomsticks. I had Butterbeer and a delicious chicken lunch. 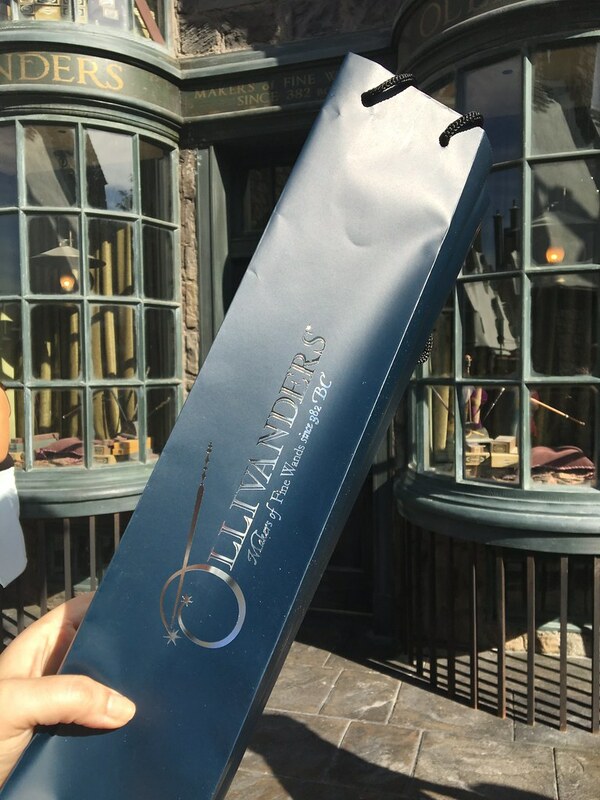 After lunch we stood in line for Ollivanders so I could get my wand. 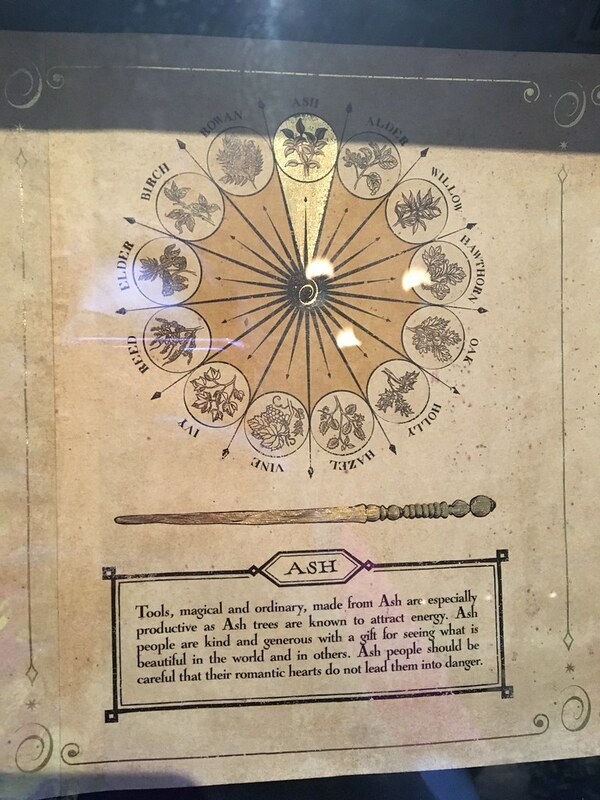 They sent us inside in groups of about 15 people and we got to watch as one person picked at random went through two wands before having their “AHA!” moment with their wand. Then we were let into the wand shop to find a wand. Once we were done with Harry Potter Land, we hit up the Studio Tour and The Walking Dead Attraction before calling it a day. On our way back to the hotel we made a quick stop at Morphe. I bough several brushes plus a few other things, which I will show in a separate post. Yay makeup! We wrapped up our day with dinner at Rainforest Cafe and me getting my shopping on at Sephora for their VIB Rouge Early Access sale. Yeah, I got some stuff. ? We started our day at California Adventure where we hit up Soarin’ Around the World, Toy Story Midway Mania!, and The Bakery Tour. We had lunch at Pacific Wharf Café and then headed on over to Disneyland. At Disneyland we hit up Pirates of the Caribbean, and Haunted Mansion. We got a fast pass for Haunted Mansion since the line was insane, and then we stood in line for Pirates of the Caribbean, which was about a 45-50 minute wait; this allowed us to head over to Haunted Mansion as soon as the ride was over because by then our fast pass was valid. After meandering around the park for a little while (and trying to take a sneak peek at the new Star Wars Land), we headed back over to CA Adventure for dinner. 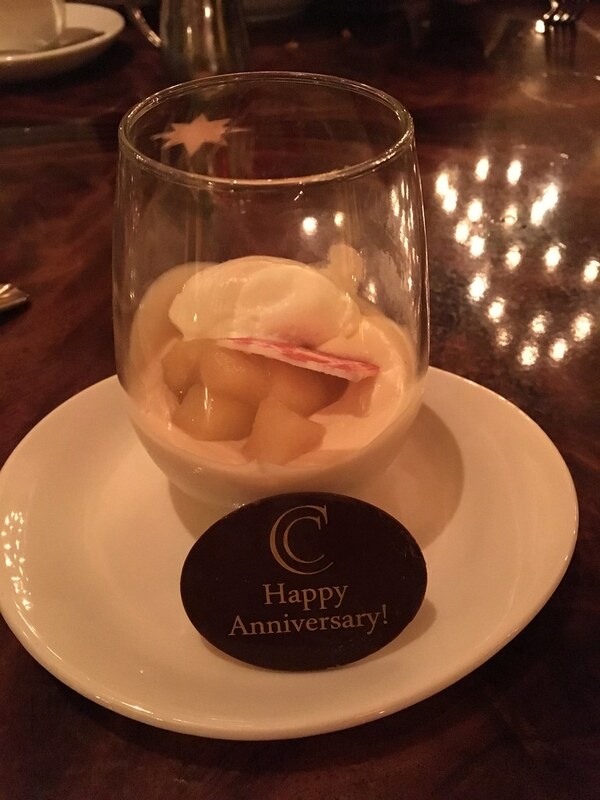 Our dinner was at Carthay Circle. 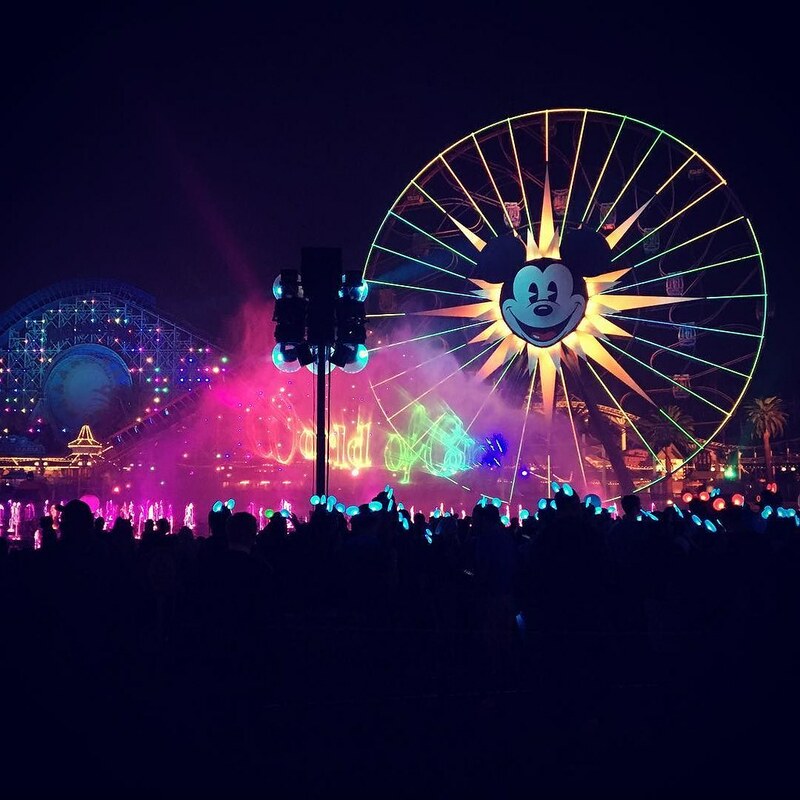 We opted to upgrade to the World of Color Dinging Package which got us VIP seating for the World of Color show. The dining experience was amazing and the food was delicious. If you have the opportunity to, definitely go, but do yourselves and the other guests there and don’t bring the kids. We witnessed this firsthand and it wasn’t pleasant. We had some time to kill between dinner and the World of Color show, so we went back over to Disneyland. We did Great Moments with Mr. Lincoln, booped around a couple shops, and hit up the Monorail. As soon as the Monorail ride was over we booked it back over to CA Adventure to end our evening with the World of Color show. 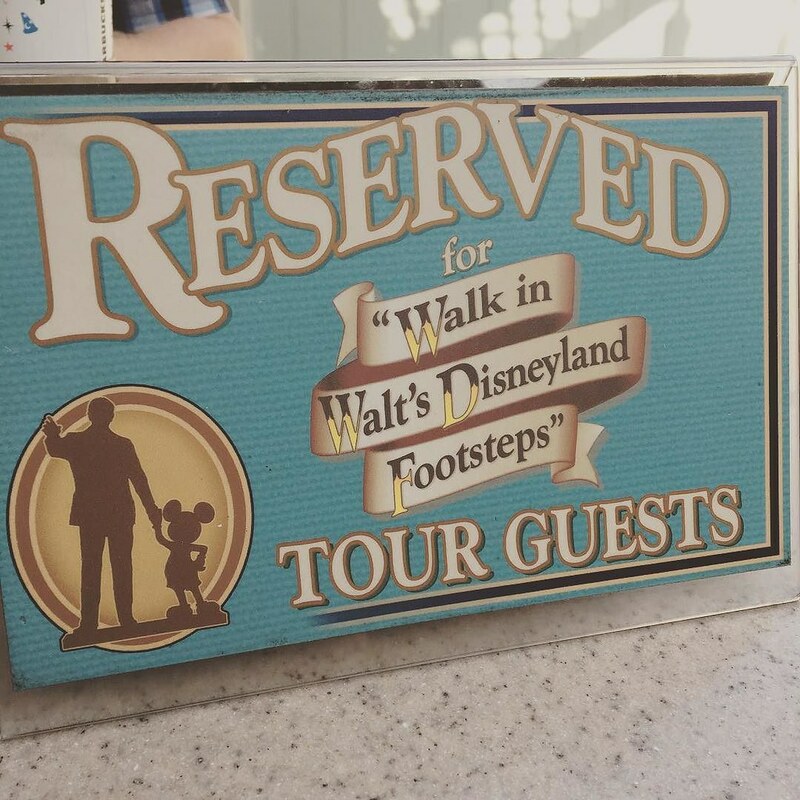 Our last day in Disneyland (and our anniversary) started off with the Walk in Walt’s Disneyland Footsteps tour. For about 3 and 1/2 hours we followed around our tour guide around the park listening to trivia and audio clips (we had an audio packet). We also got to go on the Alice in Wonderland, Pirates of the Caribbean ride (again), and Great Moments with Mr. Lincoln (again). 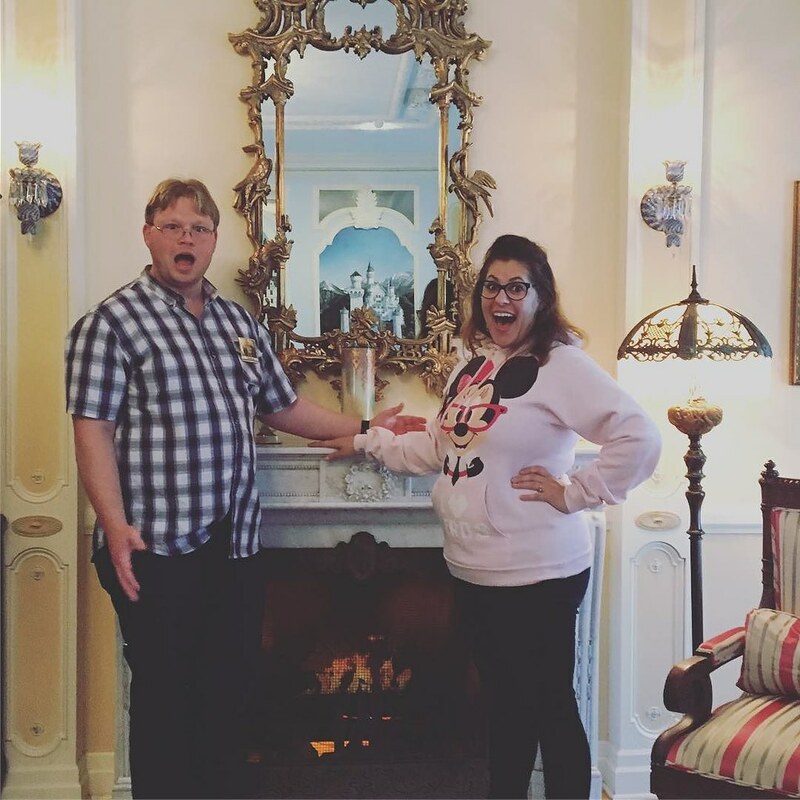 We had a delicious lunch at Jolly Holiday Bakery Cafe, and ended with a tour of the Disney Dream Suite! Lines were long, we were tired, and our dinner reservations weren’t until 6pm, so we took it easy the rest of the afternoon. We hit up a couple of rides around the park that had wait times of 25 minutes or less, but we mostly just hung out and people-watched. It was fun to do because it also happened to be Dapper Day, so there were a lot of people dressed up. It was pretty neat! For our anniversary dinner, we went to Blue Bayou, the restaurant inside the Pirates of the Caribbean ride. 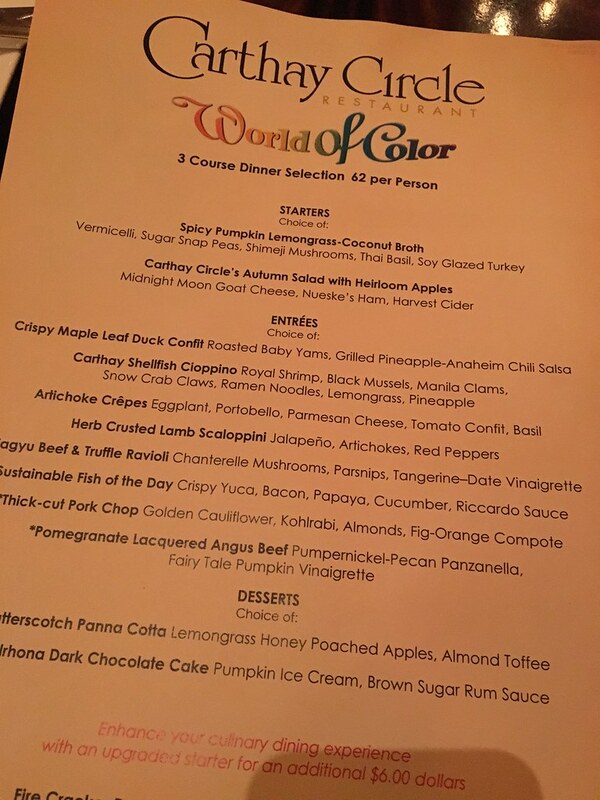 Our dinner was delicious as usual, and I felt so accommodated over the gluten-free options they had. We did a little shopping after dinner and then we went back to our hotel room to pack and rest since we were so tired. The next morning we hit up Downtown Disney for a little more shopping and then we made the journey home.